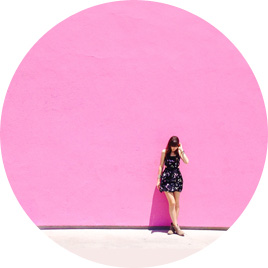 Epilady was the company responsible for sparking the revolution in the hair removal market. 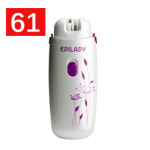 An Israeli company began marketing Epilady, the world’s first epilator, in 1986. It was developed and originally manufactured at Kibbutz HaGroshrim. The very first epilator was a very painful device that used rotating coils to remove hair at the root under the skin’s surface. 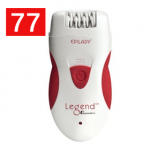 Today, the Epilady brand has become synonymous with electric hair removers. Interestingly, although epilation was associated with pain, it went on to become a global success and revolutionized the world of hair removal. 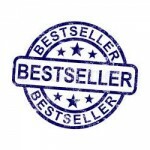 Now there are many popular epilators besides Epilady that offer different features. Today, the Epilady has still remained committed to always staying at least ‘one step ahead’ of its competitors in the hair removal market. 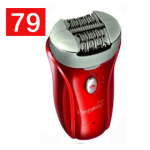 An epilator is an electrical device used for hair removal. It’s basically an electronic tweezer. 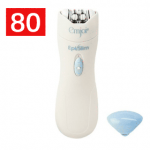 Epilators are designed to be used by both men and women. Generally, women use epilators to remove unwanted hair on their legs, arms, underarms, face, and bikini area. Men primarily use them to remove hair on their legs, arms, and chest. In fact, there are different models designed for men and women, with a few notable differences. 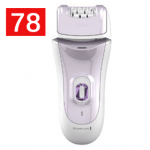 Epilator designs come in the varieties of corded, cordless, and rechargeable. 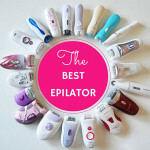 Epilators have experienced a significant evolution over the years since their original introduction in the late 1980’s. According to Wikipedia, epilators have progressed through three main phases: (1) Spring design, (2) Rotating Disc design, and (3) Tweezer design. 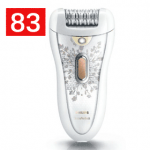 Initially, epilator designs began with a spring-like design philosophy. 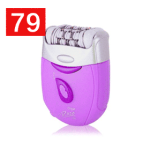 In fact, the world’s first epilator was released in 1986 by Epilady. Interestingly, Epilady is considered to be a pioneer of the most significant revolution in the hair removal market and the brand has become synonymous with electric hair removers. 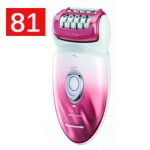 Remington introduced the world to the rotating disc epilator with the Remington Lady Remington Smooth and Silky. Operation of this epilator was very much similar to that of the rotating disc type, with the exception that the design incorporated metals discs instead of a spring. It is worth noting that the rotating disc design came under scrutiny and litigation for being conceptually similar to the spring design. Ultimately, the failure of Epilady to win the patent litigation against Remington permitted competitors to create designs based on the rotating disc design. Today’s modern designs incorporate a tweezer design, where the plates are not complete discs. 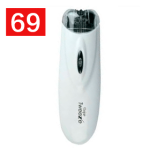 Encased in the head of an epilator are a series of metal plates that come together and apart, once per revolution, creating a tweezing effect. 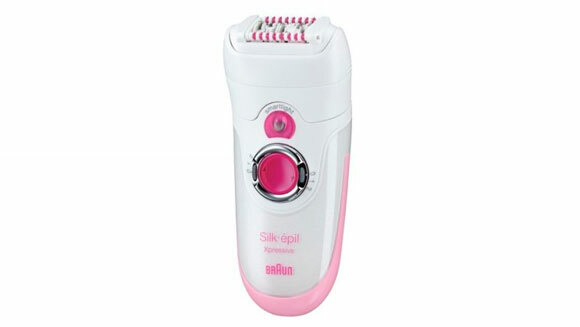 As the epilator glides over the skin, it goes through a cycle of gripping, pulling, extracting, and discarding the hair. 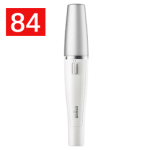 Nowadays there are many different popular name branded epilators (e.g., Braun, Remington, Panasonic, Epilady, Philips, Emjoi) incorporating the tweezer design. 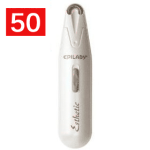 The newest Epilady epilators also use a rotating row of tweezers to remove hair. 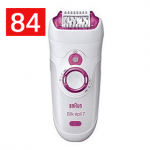 Read our epilator reviews for the latest models. 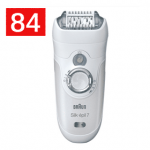 Epilator manufacturers are continuing to advance their products by improving the performance and effectiveness, reducing pain and irritation, and increasing the amount of time between hair removal. Improved sanitation and hypo-allergenic features have been included as part of new product designs. Further, the operational speed and number of tweezers has been increased, allowing the ability to cover a larger area in a shorter period of time. Lastly, models featuring faster rotation of plucking elements helps to reduce the discomfort usually associated with epilation. All of these innovations are leading to more people adopting the use of epilators in the hair removal market. 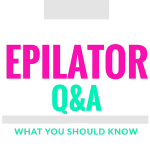 Epilators capture multiple hairs at a time and remove hair at the root much like waxing. It is possible that during epilation some hairs may be inadvertently broken off rather than removed at the root, leaving a stubble look in places – albeit far and few between. Epilating for the first time can be painful for some, so some prefer waxing first and then maintaining their hair-free look with an epilator. 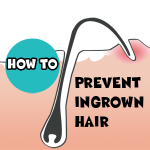 Like most forms of hair removal at the root, epilation can lead to ingrown hair. 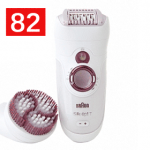 Since an epilator doesn’t exfoliate the skin, it is very important to exfoliate regularly when epilating. It should be noted that routine epilation of regrowth hair is less painful than the initial epilation and the possibility of breaking of hairs reduces as well. In contrast to waxing, epilation does not remove cells from the epidermis . The results of epilation are just as good as waxing and there isn’t much hair regrowth following the initial epilation due to the phases of hair growth . 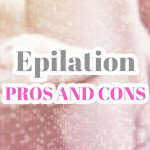 In this section, we’ll compare epilating to shaving and, likewise, epilating to waxing. Specifically, the benefits of epilating will be clearly illustrated versus each hair removal technique. 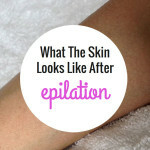 A major benefit of epilators is that they don’t require regular replacement of parts (i.e., expensive razor blades) and it doesn’t leave that nasty stubble look and prickly feel of shaving nor that embarrassing discoloration on your underarms. In fact, the initial investment pays for itself, considering the recurring costs associated with replacement blades. Furthermore, the results are longer lasting (usually weeks at a time) than shaving. At first epilating takes much longer than shaving since you are plucking hair out from the root. However, the benefit is that skin is left hairless for a longer period of time. Waxing treatments at the salon are very painful not to mention that they can get very expensive, very quickly. 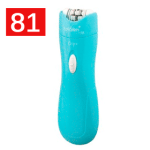 Frankly, epilation is initially painful, too, but it does get better over time. 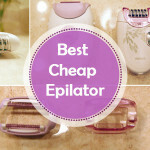 Saving all of that money and investing in a good performing epilator can help you achieve similar results to waxing while reaping the benefits of significant cost savings and the added convenience of being able to remove unwanted hair in the convenience and privacy of your own home. Moreover, the results are as spectacular as waxing and they last for weeks at a time.